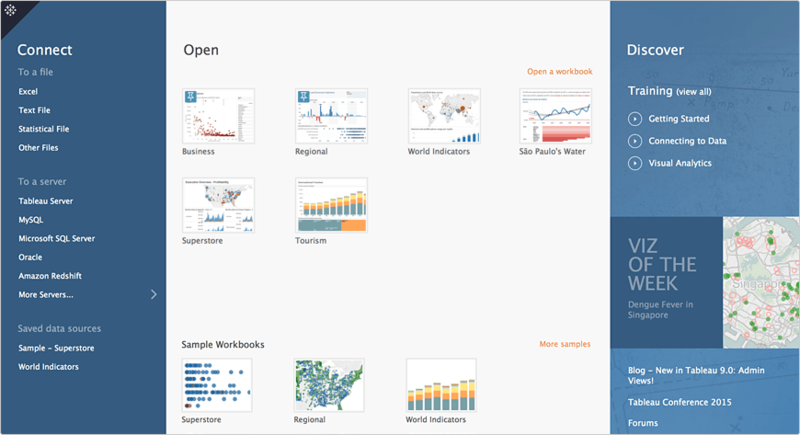 Tableau 9.0 is full of exciting new features. 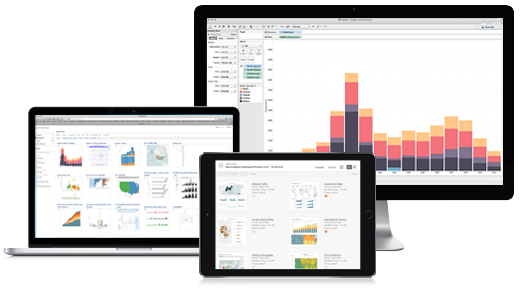 Tableau Server has been rebuilt from the ground up to be faster, more scalable, and more extensible—all while sporting a new look and more intuitive navigation. A new welcome screen greets you. You can view all workbooks on a single page, search across all content, and see breadcrumbs as you navigate. Welcome to smart meets fast. Exploring and presenting your data is easier, faster, and more beautiful than ever before. A new start experience for a new generation of data exploration. Access training and see great work from the community right from the start screen. There's also new, rich story points formatting so you can easily captivate viewers. And, you can quickly preview your sheets before using them for dashboards and stories. 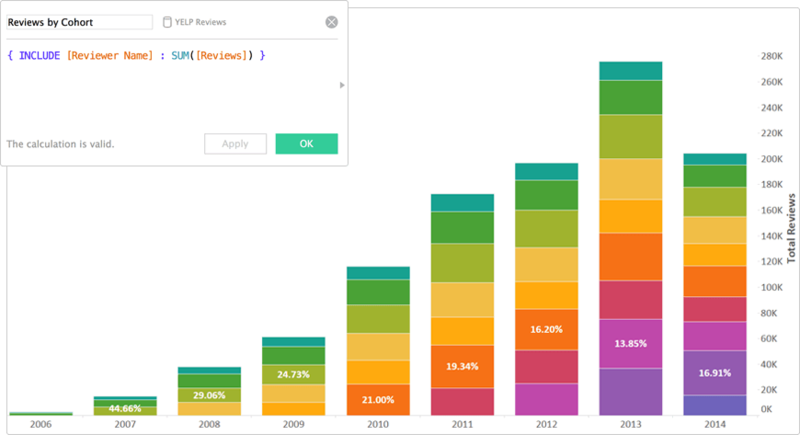 A new Analytics Pane lets you drag reference lines, forecasts, trend lines, box plots, and other analytics right onto your view. This makes it quicker to ask deep questions of your data. You can now explore your data with tooltips that smoothly follow your mouse. The smart calculations editor allows you to create calculations right in the view by typing in field names and functions. New Level of Detail Expressions help you answer tough questions easily. Specify the exact level of detail right in a calculation without adding fields to your view. Answer geographic questions more easily. Search in the map or lasso data points. Smoother map interactions mean you stay in the flow while you investigate “where?” You can now search by name and Tableau will find and zoom in to continents, countries, states, provinces, counties, cities, and postcodes around the world. Newly updated locations on every continent provide more detailed and accurate maps. Countries and territories with new data include Australia, Taiwan, Brazil, South Africa, and many others. Also, the updated United States Census layers provide context for your mapped data. You can now pivot & split in order to use more of your data, faster. The Tableau Data Interpreter detects your data range and removes extraneous titles, text, and images. Tame messy spreadsheets with just a click of the mouse. The Metadata Grid allows you to quickly rename fields, hide columns, and adjust data types. Initiate splits, pivots, and merges right from the view. The Statistical File Connector directly opens your SAS, SPSS, and R data files in Tableau. Join and blend these data connections like other file-based data sources. There are new Cloud & Big Data Connectors such as Amazon Elastic MapReduce and Spark SQL as well as an improved Amazon Redshift Connector and faster Salesforce Connector. Tableau Server & Tableau Online have been completely rewritten and now feature the latest improvements in Java and Apache Solr. 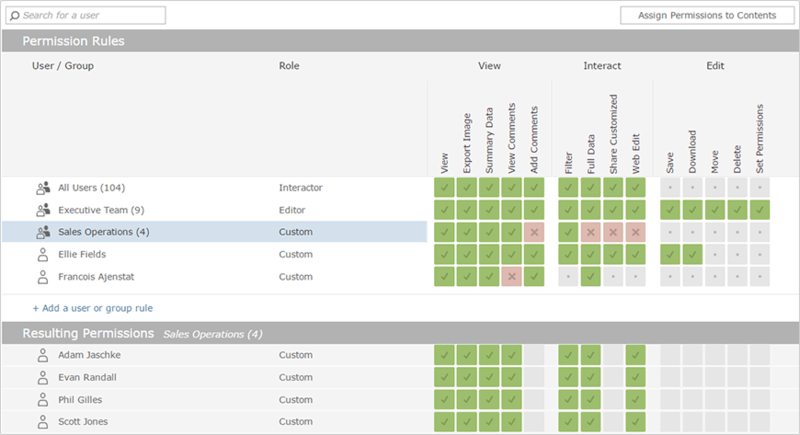 The new visual user permissions editor allows you to see and adjust permissions for groups and individual users with the new visual permissions page. The Enterprise Grade of Online, Desktop and Server now support SSL encryption for MySQL, SQL Server and PostgreSQL. It's easier to programmatically manage with a newly extended REST API. Manage workbooks and data sources, users and user groups, as well as query and update data connections. New processes enable true high availability for Tableau Server and greatly improve scalability. An automated Cluster Controller and a new File Store process handle reliable data replication. A streamlined configuration workflow rounds out the package.